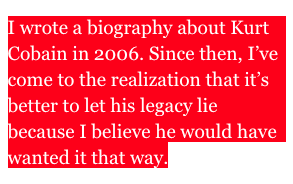 let’s begin with where i just was… this article on kurt cobain from a kurt cobain biographer. which, in case my future biographer is out there in the future reading this post and thinking what brought her to this moment? ?, i read immediately after reading this review of the new didion biography. just fyi. 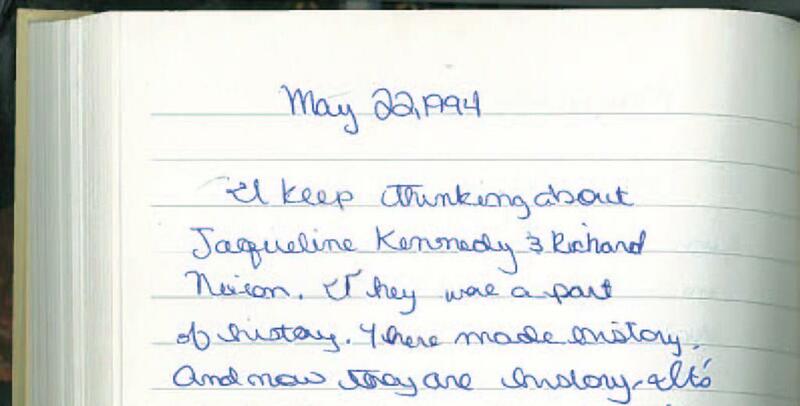 i am writing a biography of jackie onassis. i think about the two things raised in these statements quite a lot. (1) the idea that, in my writing, i am expected to bring jackie onassis BLAZING FORTH ALIVE from the page, through my words. and (2) the notion that we can ever know anything, with any certainty, about anyone. frankly, i, currently in the fog of biographical writing, am not sure where this leaves us. the ethics are always dubious. we are- both biographers and readers of biography- janet malcolm tells us, “like the professional burglar.” i would argue reading any story about anyone else leads one into the same ethical territory (more perilously as it’s minus the illusion of a scholarly apparatus, which biography affords) and so we are, by now, largely a culture of burglars, culprits of an ongoing, mass burglary. so it feels a bit late to be waving the flag and asking we let dear kurt alone. i say that. i would stand by that statement. but i am equally adamant in my stance that go set a watchman should never have been published and that harper lee is being taken horrible advantage of and that we, as a society, have let her down. the argument can be made that the incidents are similar. i can understand how one might think that and yet also i think they are extremely different. i am aware that this represents a contradiction in my own thinking. in his research on privacy, josh cohen has written of the cultural tendency to see intrusion into the lives of living people as partial and intrusions into the lives of the dead as a more total violation of the self. in her exploration of the marriage of sylvia plath and ted hughes, janet malcolm argues that this is because we identify with the vulnerability of the dead: in their helplessness and passivity, they mirror our own. i do wonder if my approach to biography isn’t the exact opposite. because while my research is concerned with the afterlives of stories, and how we use familiar stories after the lives of the people upon which they are based have ended, to see that you have to have the before. they have to have lived. and when they are alive, we don’t use them any less. what cohen and malcolm point to is a part of it, but i do not think it is the whole, and, writing that, i’m realizing i’ve done a dud thing here and evoked a series of lives that do not lend themselves to easy comparison (another contradiction: as, really, no lives lend themselves to easy comparison). the dead mirror our vulnerability. but so do the living. so also, i would argue, do our younger selves, which is where nostalgia becomes important. obvious, but easily overlooked. we are always waiting for something, for the story to work out and to end. quite bizarre, when you think about it, given the story’s end is the end. in our stories, it is our end. but all of this is about knowing, isn’t it? the living woman didion doesn’t fully emerge from the pages of a book. we must leave kurt cobain’s legacy alone because his biographer imagines this is what he would have wanted. i am writing a biography of jackie onassis. i am deeply skeptical of biography. i wholly do not expect that someone who was once living will vividly emerge from the words i write. i will teach you something, i will show you things you did not know, i will make you FEEL. something. perhaps many things. probably none of which is that you actually knew jackie. because i don’t think we ever know ourselves, much less other people. we do not know ourselves even though we are stuck with ourselves all our lives. 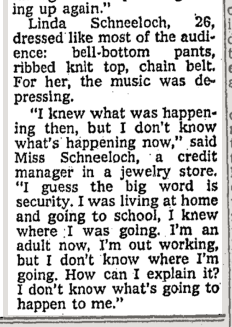 yesterday, i happened upon this 1978 profile of jackie, the main thesis of which was that we’re all too lazy to go and find someone else to care about and so we care about jackie because she’s there. which ended on this hilariously defeatist note: because she’s there. the opposite, of course, being that she is not there. the line separating the past and the present is perilously thin. thinner than we would like to think. and i think that, in some part, explains the contradictions. well, not explains. it accounts for them. the dualism of the american ability to look back and say haha, remember the cold war, our naïveté, how cute! whilst we continuing pointing a finger towards russia and evoking every cold war rhetorical flourish at hand. 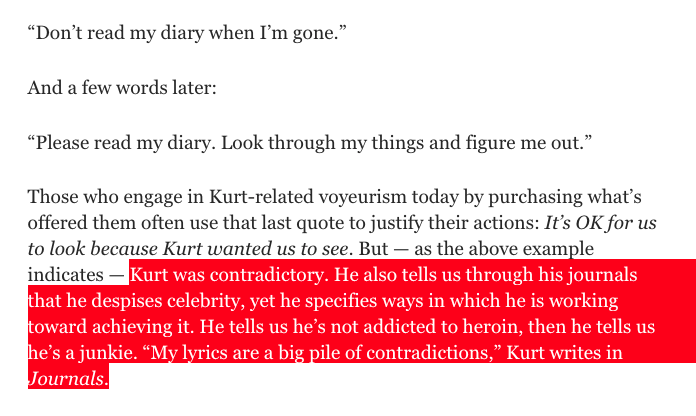 the dualism of the individual, so that cobain could write that he doesn’t want his journals read and then reverse himself a few lines later. adam gopnik has written that, in history, we do not know what boat we are on until the iceberg informs us. the self seems engaged in a similar bind. we expect we can know joan didion by reading a book about her. we imagine that details can add up to a person, even though i for one would be horribly offended if someone suggested the same of me. in his book on the life of marilyn monroe, norman mailer quotes virginia woolf saying that biography only accounts for 6 or 7 selves, when really we all have thousands. that is, you will note, a significant shortfall of selves. perhaps there is a titanic metaphor here as well. for biography can only bring a limited number of stories to shore. so much is left behind. so much abandoned in the dash towards completion, as the word count thins down. gopnik surmises, “It is, perhaps, essential to life to think that we know where we’re going when we set out—our politics and plans alike depend on the illusion that someone knows where we’re going.” it is perhaps equally essential to life to think that other people are knowable, so that we can believe the same of ourselves- that we are each of us more than just a great mystery. DO NOT READ MY DIARY… PLEASE FIGURE ME OUT. to say no, to give up, not to try, seems the greater cruelty. This entry was posted in AGING IS OK, biography, historisize, making it count, why. Bookmark the permalink.